Western Technical College’s Alumni Association and Career Services department hosted, Ready, Set, Go – Get That Job! at the Lunda Center on Feb. 5 for Western students and alumni. 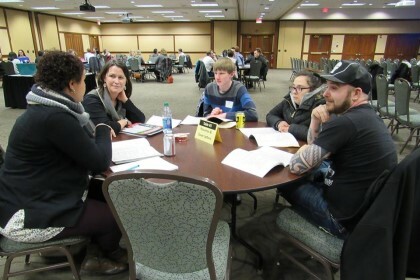 The event featured networking opportunities, round table discussions, and a job panel from Gundersen Health System, Organic Valley, Trane Company, and La Crosse County. Round table topics included personal branding, tips on resume building, and secrets to interview success. Comments and suggestions are encouraged. Click here to send us an email. Copyright Western Technical College	| Theme: News Portal by Mystery Themes.